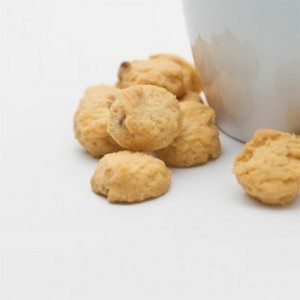 Looking for an unusual snack with extraordinary taste? Our exotic Bite-Sized Banzai cookies are the peculiarly delicious cookie you will not be able to put down. An exciting medley of some of our favorite Japanese ingredients, these bold cookies are anything but ordinary. 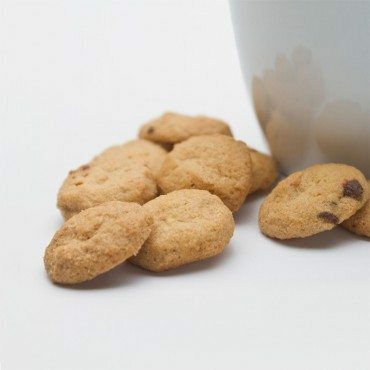 We have taken a fan favorite and created bite sized cookies that are perfect for on-the-go munching or for a mini treat – though we find it hard to resist eating the whole bag! 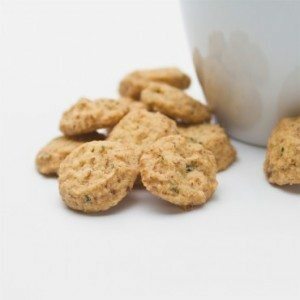 Sake (rice wine), rice crisps (arare), and dried seaweed (furikake) give our crunchy cookies their unique taste. Make no mistake – these bite-sized cookies are packed with flavor! Rumor has it that the inventor of this peculiar cookie flavor was so pleased with the taste that he privately paid homage by shouting a deep-bellied “Banzai!,” a common alcoholic toasting expression used in Japan (or maybe he was mildly intoxicated by the traces of sake!). Regardless of how the name was established, it has stuck ever since. No matter what your preferences are, Kauai Kookie has the cookie for you. 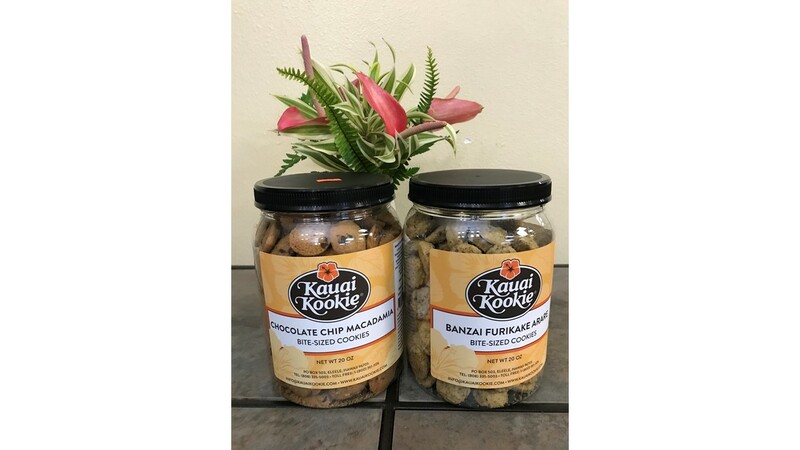 Our signature Chocolate Chip Macadamia cookies are a great complement to our Banzai cookies. Try some today! MARGARINE (PALM OIL, WATER, CONTAINS LESS THAN 2% OF SALT, VEGETABLE MONO & DI-GLYCERIDES, NATURAL FLAVOR (INCLUDES MILK), CITRIC ACID, VITAMIN A PALMITATE ADDED, BETA CAROTENE (COLOR)), WHEAT FLOUR BLEACHED, MALTED BARLEY FLOUR, NIACIN (a B VITAMIN), IRON, THIAMIN MONONITRATE (VITAMIN B1), RIBOFLAVIN (VITAMIN B2), FOLIC ACID, GRANULATED SUGAR, ARARE, VANILLA, BAKING SODA (SODIUM BICARBONATE). CONTAINS: WHEAT, SOYBEAN, MILK. ALLERGEN WARNING: PRODUCED IN A FACILITY THAT ALSO PROCESSES PEANUTS AND TREE NUTS.